Even experienced attorneys may not know when it is necessary to hire an expert witness in a real estate or mortgage case. A California mortgage expert witness is often required when a broker, lender, buyer or other party to a real estate transaction is under investigation. The case may involve compliance with a code or state and federal regulations. The Law Offices of Steven Gourley, located in Torrance, CA, offers expert witness services in the areas of mortgage and real estate fraud. We routinely provide expert testimony and can provide California-specific knowledge about a real estate broker license, loan financing and industry standards. What is the role of the expert witness? Testimony may also be necessary when a loan was originated under a real estate broker’s license. When a broker obtains a license from the California Department of Real Estate, an expert witness can provide testimony on the laws or regulations that affect that transaction or loan. The testimony may also weigh on mortgage broker activities and general practice standards in the industry. 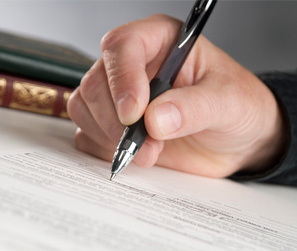 Our firm represents clients and routinely advises and counsels other attorneys who are facing complex disputes and lawsuits involving real estate or mortgage fraud. What if a business failed to register? What happens if a lending institution does not have a license? What license is necessary to make a loan? How do you apply for a license? In addition to counseling to ensure compliance with regulatory standards, we can also provide expert testimony in these complex cases. To learn more about expert witness testimony services, contact the Law Offices of Steven Gourley online or at 424.286.9246. Our team is dedicated to your needs and provides personal, results-driven service. We serve businesses and organizations throughout California.